Winds sweeping across the Great Plains once robbed the Farm Belt of its future, stripping away overworked topsoil and creating the dreaded Dust Bowl of the 1930s. Today, those winds are bringing new hope to the declining rural communities of the central United States. Nowhere is wind's promise more palpable than in Cloud County, Kansas, home to the Meridian Way Wind Farm, whose turbines are boosting farm incomes and bringing green jobs to a community that has watched its children flock elsewhere. Modern wind power is the best thing to hit this stretch of midwestern prairie since the Union Pacific railroad. In Harvest the Wind, Warburg brings us the people behind the green economy-powered resurgence in Cloud County and communities like it across the United States. This corner of Kansas is the first stop on an odyssey that introduces readers to farmers, factory workers, biologists, and high-tech entrepreneurs--all players in a transformative industry that is taking hold across America and around the globe. Harvest the Wind serves as an earthly antidote to the more abstract treatises on global warming and green energy. By showing us how practical solutions are being implemented at the local level, Warburg offers an inspirational look at how we can all pursue a saner and more sustainable energy future. Can wind power save us from our reliance on imported fossil fuel? Environmental attorney and activist Warburg believes so. 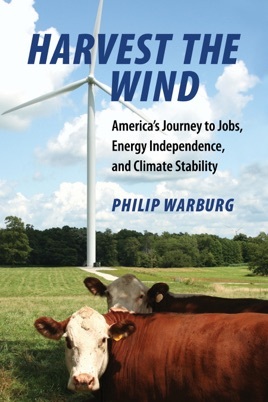 In 2009, he set out to explore the question of how and where America could make wind energy happen, concentrating on the Meridian Way Wind Farm in Cloud County, Kans., where he spoke to landowners who rented out sections of their fields and pastures for turbine placement, educators who reshaped the local community college as a training center for wind energy technicians, and developers who worked with community partners. Today, only 3% of our electricity comes from wind, and there are significant difficulties to overcome: neighboring farms complain about aesthetics and noise; a $60 billion price tag for supplying 20% of our electricity from wind by 2030; and increasingly formidable foreign competitors. 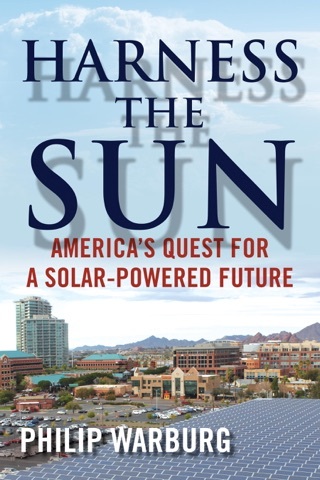 Though Warburg s attitude toward the probability of energy independence is optimistic and his knowledge extensive, his language and presentation is dry and academic enough that despite the worthiness of his cause it s difficult to imagine a commercial audience for this book.